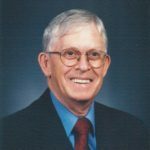 Richard Grant Denney, age 85, of Somerset, KY, passed away on Wednesday, November 21, 2018 at his residence. Richard was born on July 17, 1933 in Monticello, KY to the late Samuel Grant Denney and Hattie Jane Guffey Denney. He was a veteran of the United States Army and served during the Korean Conflict. Richard was a deacon at Slate Branch Baptist Church. He was a Kentucky Colonel and spent most of his life working at Denney Appliance Service as owner/operator. He is survived by one son, Michael (and Cheryl) Denney of Lancaster, KY; one daughter, Janice Dewan (and Steve) Crabtree of Somerset, KY; four grandchildren, Brett (and Robyn) Denney, Andrea (and Rev. Patrick) Wallace, Jami (and Dr. Taylor) Tohill and Adam Wallen (and fiancé Carlee Smith); and six great-grandchildren, Kane and Kendall Denney, Asher and Cohen Wallace, and Beckett and Bodhi Tohill. Along with his parents he was preceded in death by his wife, Mary Ruth Young Denney, whom he married on August 4, 1951 in Steubenville, KY and she preceded him on December 27, 2015; four brothers, Clint Denney, Ed Denney, Albert Denney and Lee Denney; one infant brother, Mack Denney; three sisters, Lula Coffey, Elsie Brooks and Lena Hurt; and one infant sister, Martha Denney. Visitation will be on Sunday, November 25, 2018 after 6:00pm at Lake Cumberland Funeral Home. His funeral service will be held on Monday, November 26, 2018 at 11:00am at the Chapel of Lake Cumberland Funeral Home with Rev. Michael Denney officiating. Burial will be at Lakeside Memorial Gardens. Pallbearers will be Brett Denney, Patrick Wallace, Taylor Tohill, Adam Wallen, Roger Young and Toby Clark. Military Honors will be conducted by the American Legion Post #38 Honor Guard. The family requests expressions of sympathy be made to Hospice of Lake Cumberland. Lake Cumberland Funeral Home is entrusted with the arrangements for Richard Grant Denney.